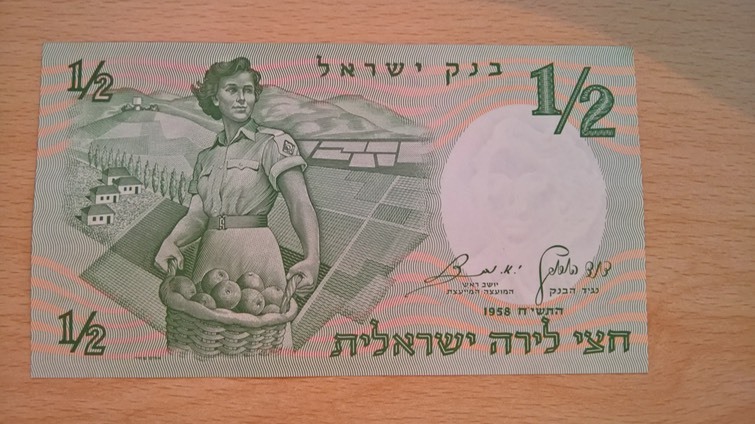 Israeli currency was first printed from the beginning of the mandate period. Thence the currency evolved. There were also coins. I wrote about them here. My oldest such banknote is from 1948. 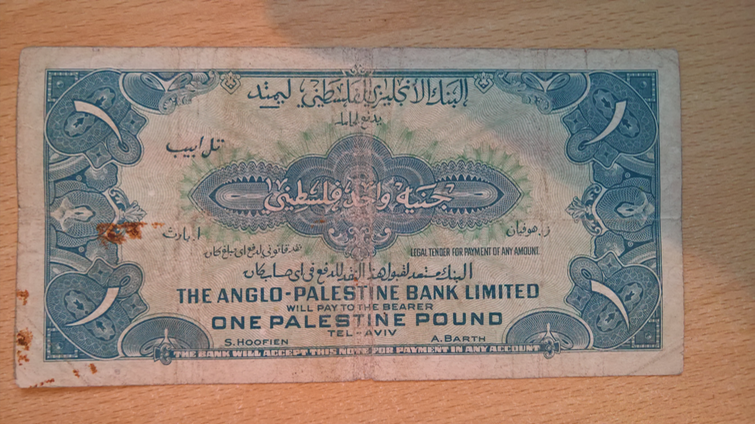 The Palestine Pound was used since 1927 when it replaced Egyptian currency in Israel. It also found use in Transjordan Palestine. 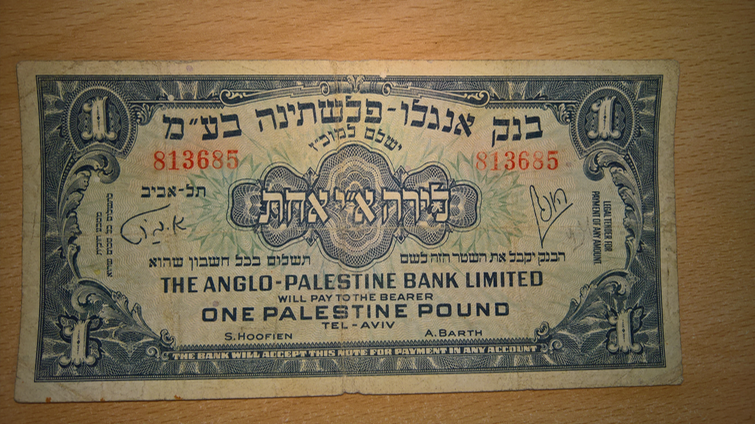 In 1952 the "Anglo Palestine Bank" renamed itself "Bank Le'umi Le'Yisrael" (Israel National Bank) and the "Palestine Pound" was hebraised and became the "Israeli Lira" (with "lira" being the Italian word for "pound" used by the Ottoman Empire) and was then finally replaced by the (even more hebraised) Israeli Shekel (with "shekel" being the Hebrew word for a certain weight less than a pound) and the Israeli New Shekel. 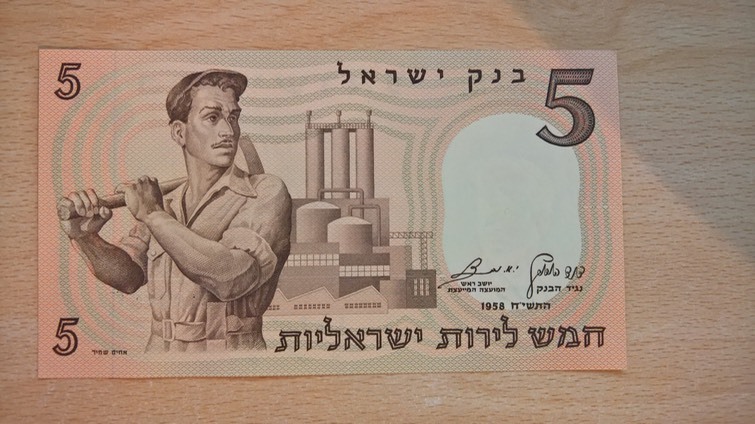 Israeli Lira had the adorable socialist paradise look fashionable in the 1950s. The strong, happy labourer (with a moustache and otherwise clean-shaven, not religious) and the female farmer (also strong and happy) were now in power. 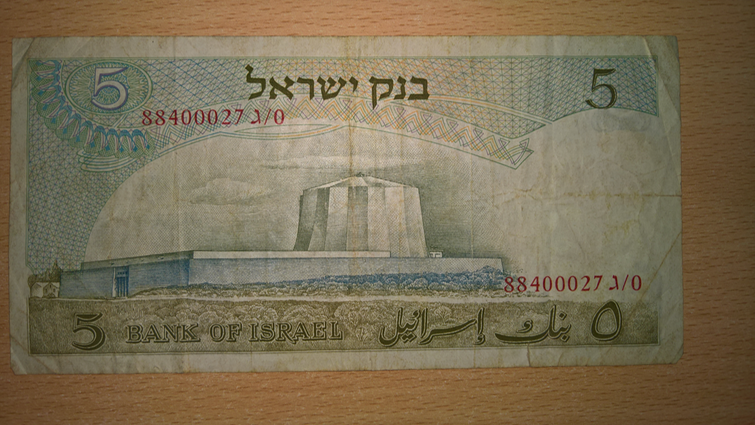 The obverse of the notes showed artefacts from Israelite history and the words "Bank of Israel" in Hebrew, Arabic and English. 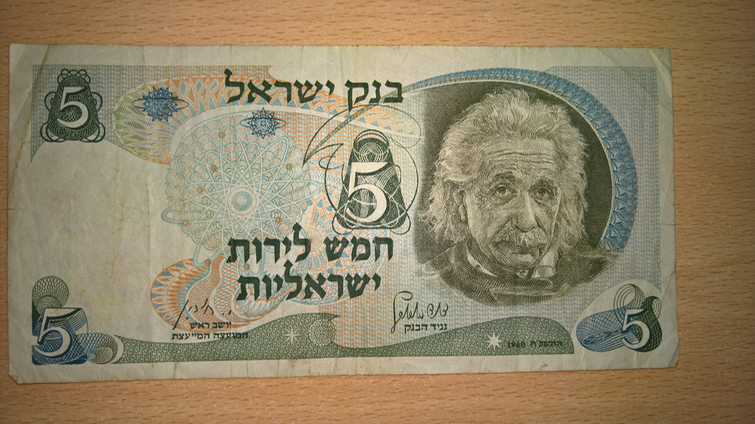 Albert Einstein nearly became the first president of Israel after independence. He apparently declined because he didn't want to be a politician (or be near politicians).